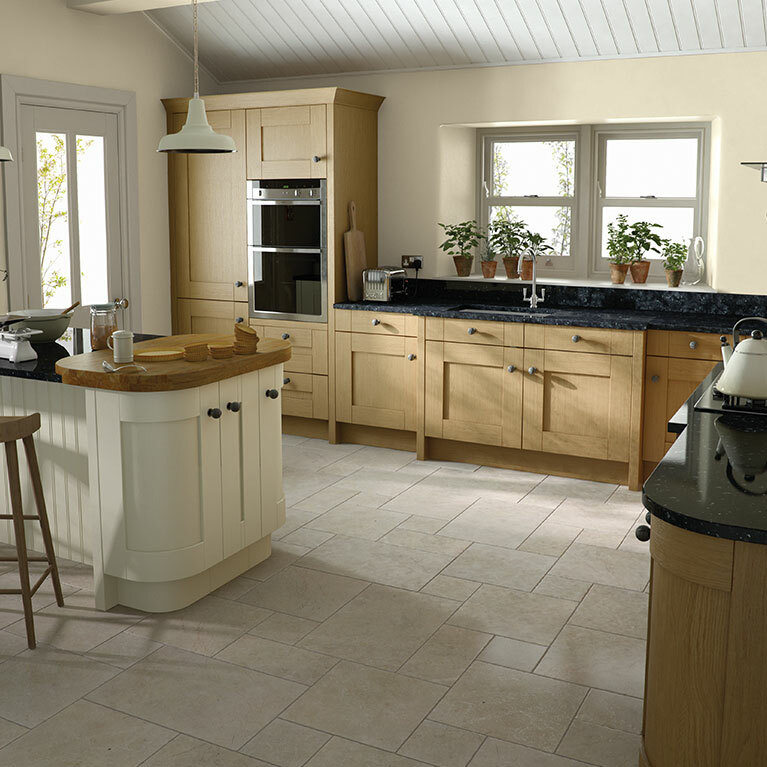 Classic and contemporary collide in the most beautiful way in the flawless Cornell Painted traditional kitchen design. 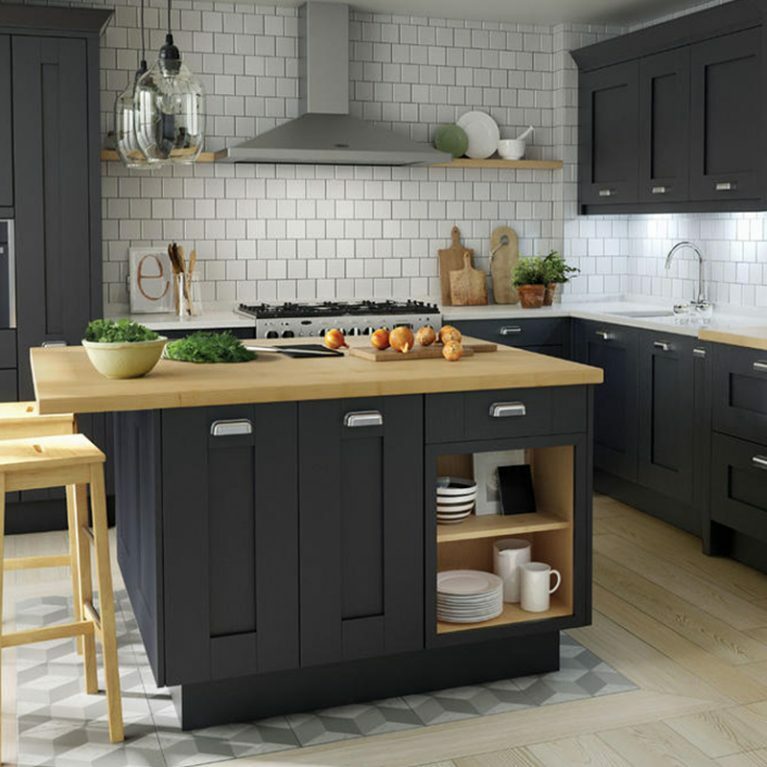 This stunning kitchen design has the wonderful warming ambience of a classic country kitchen, but with the modern twists needed to bring your kitchen design into the 21st century in style. 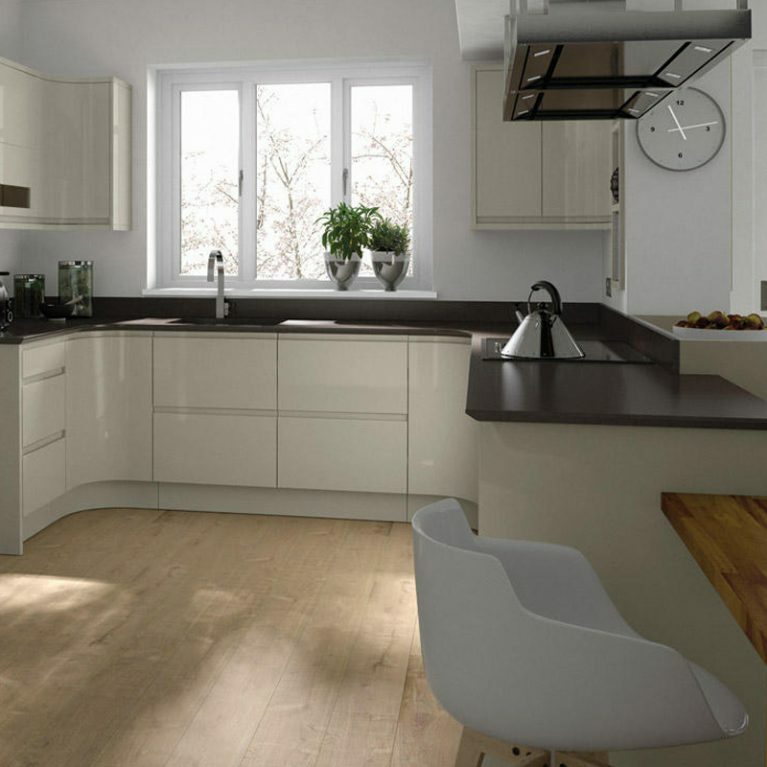 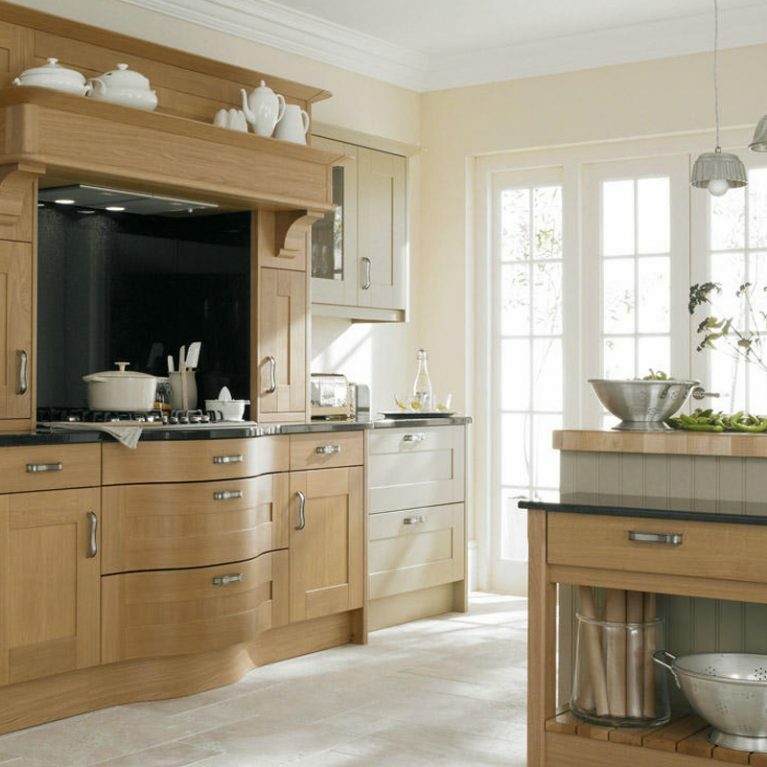 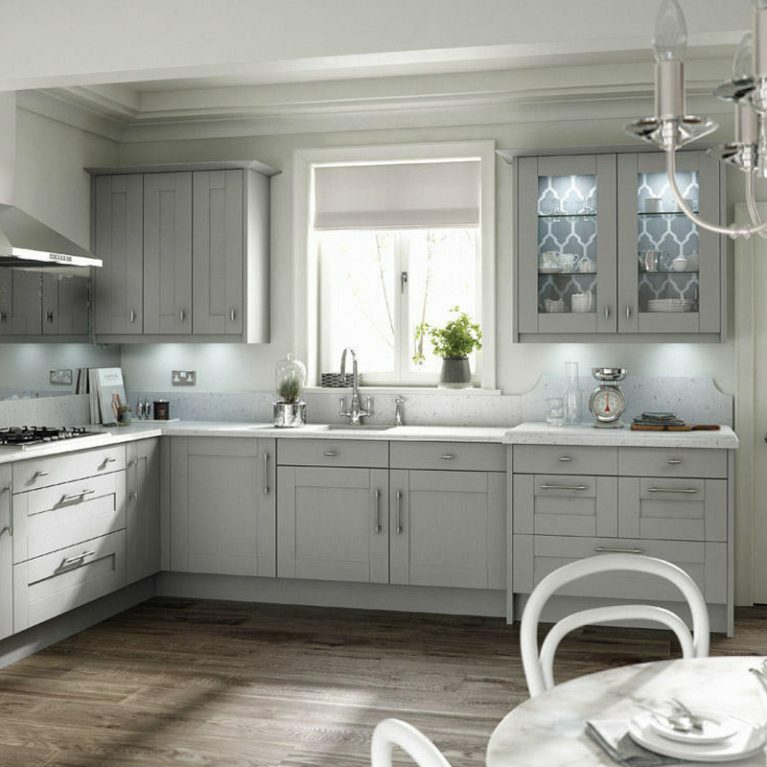 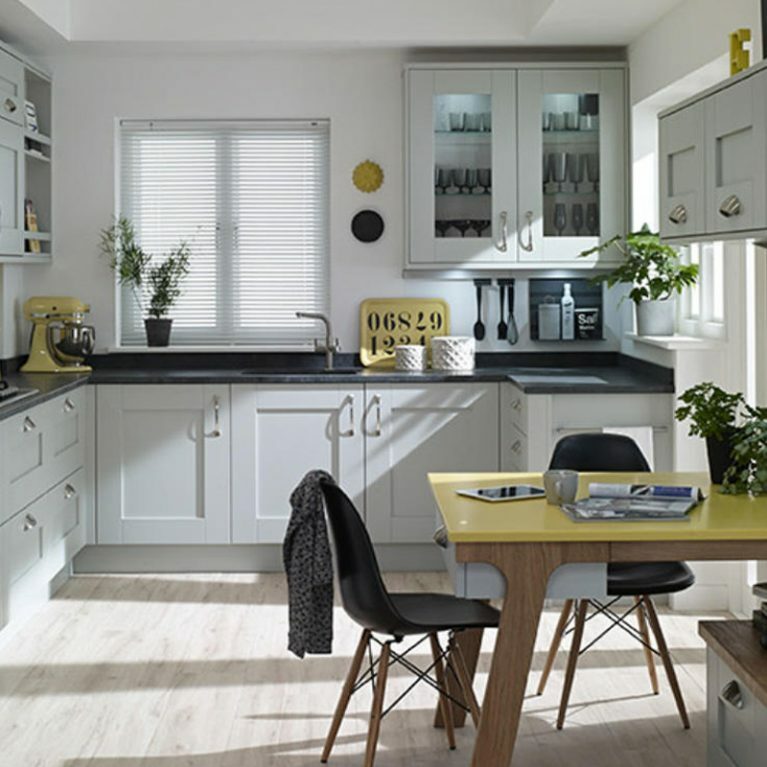 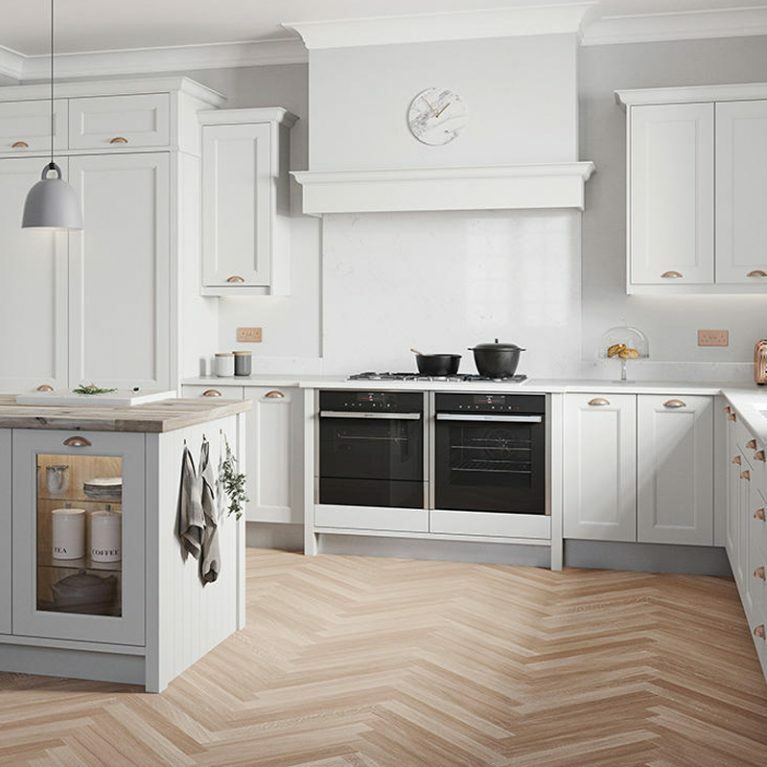 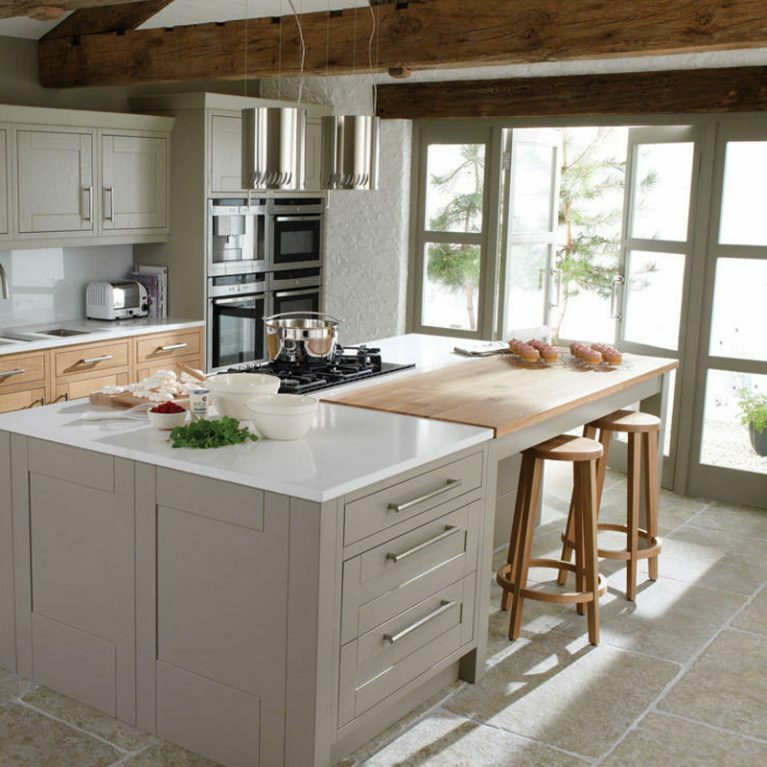 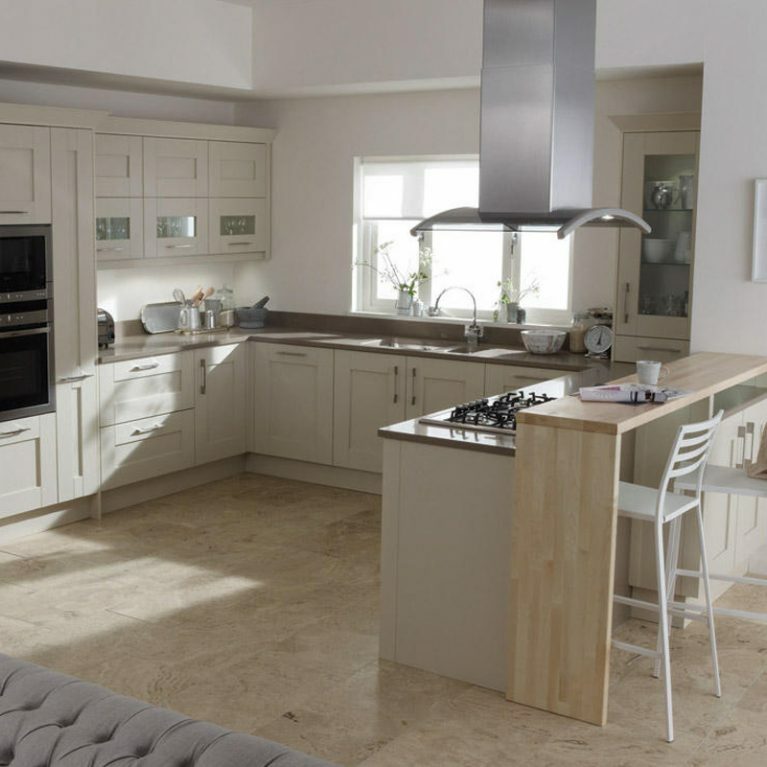 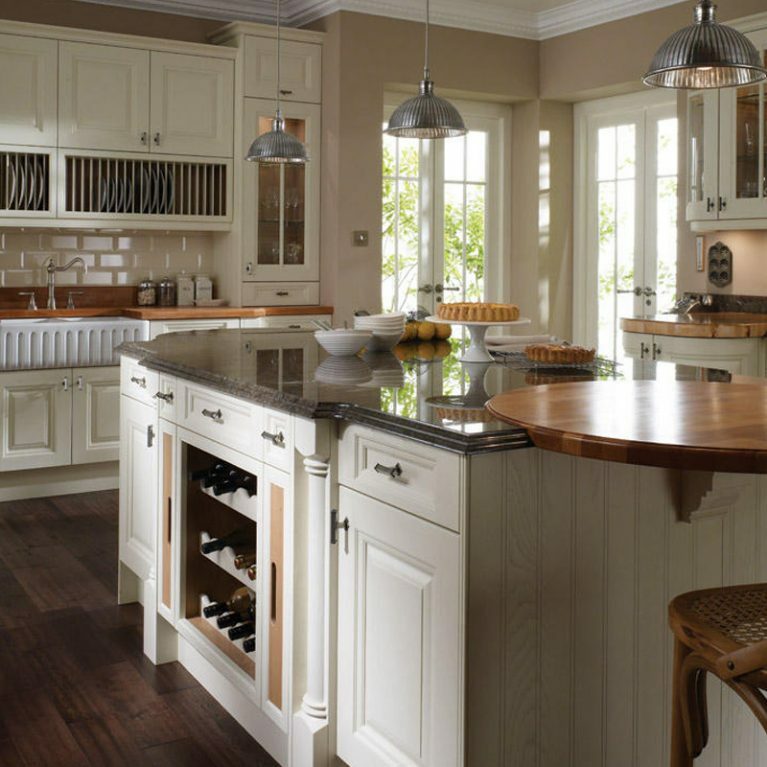 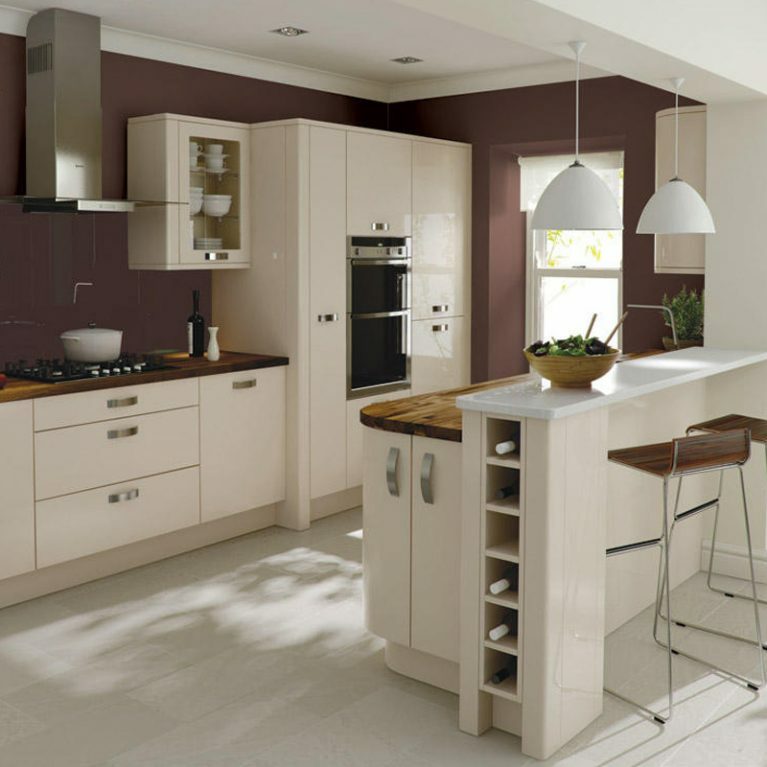 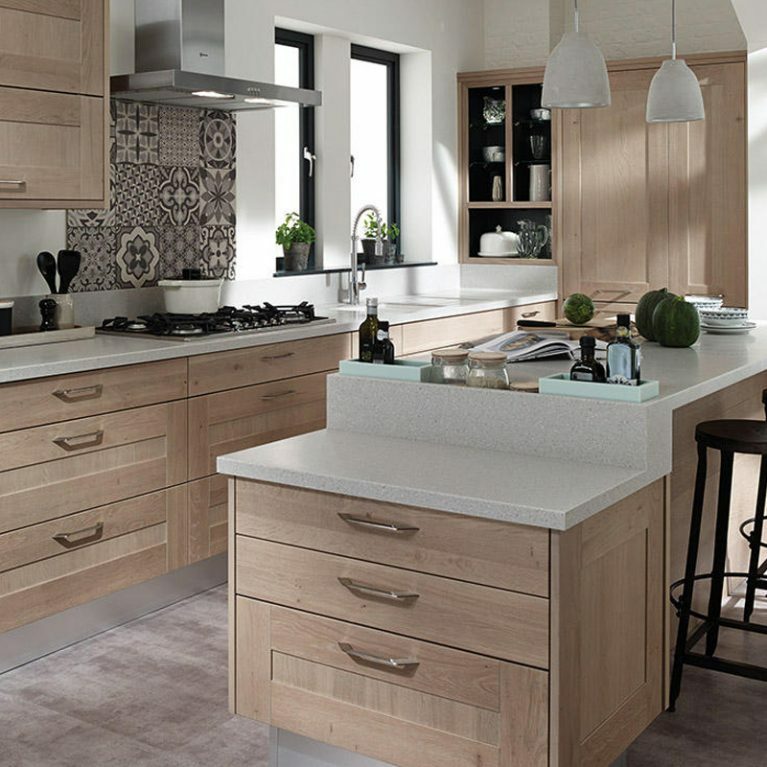 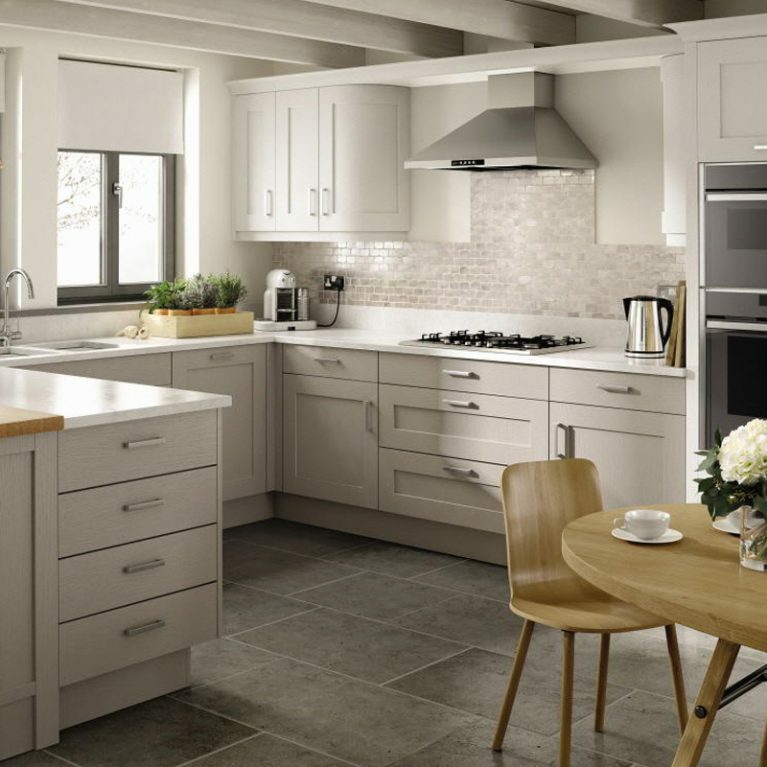 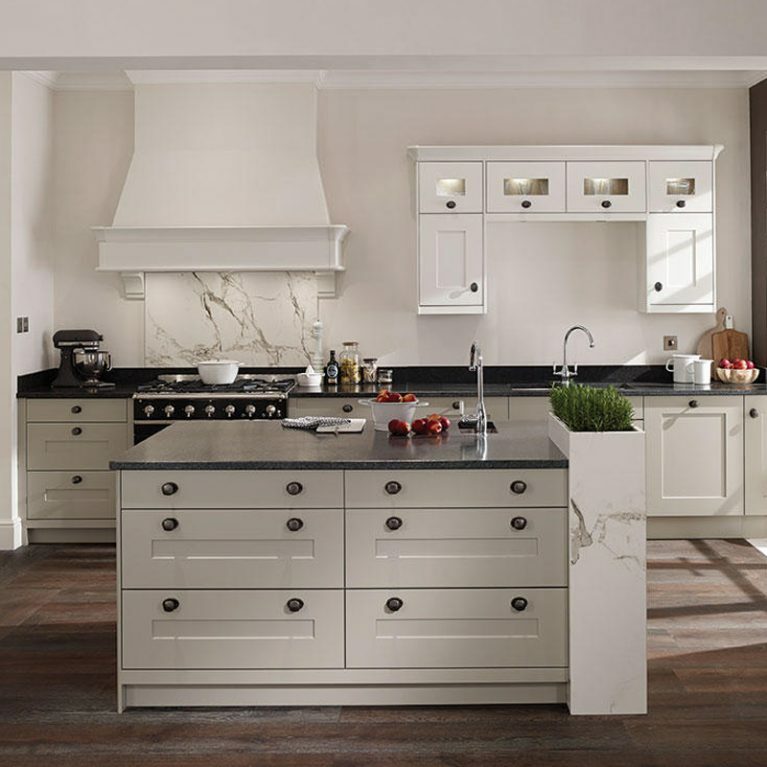 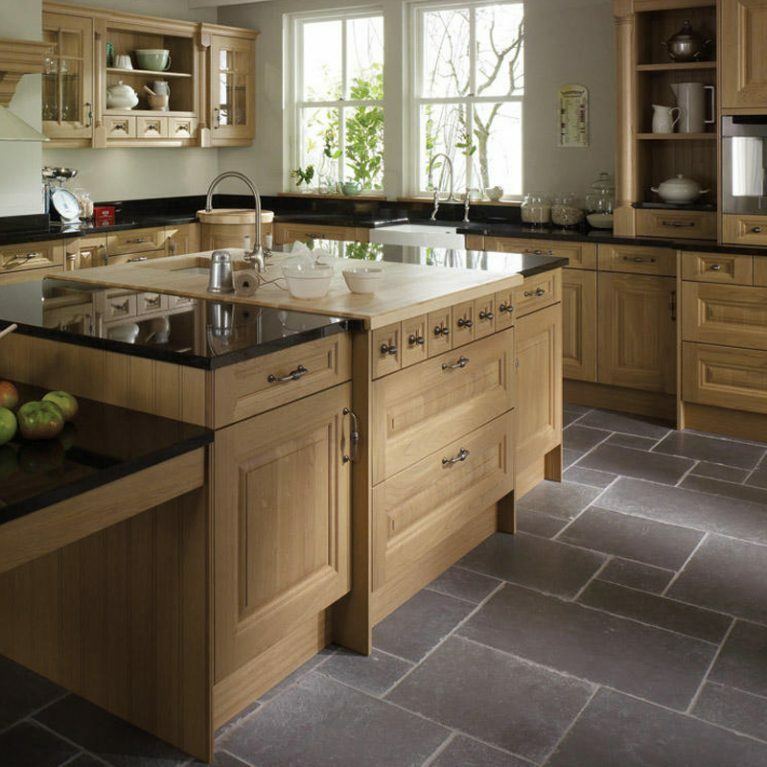 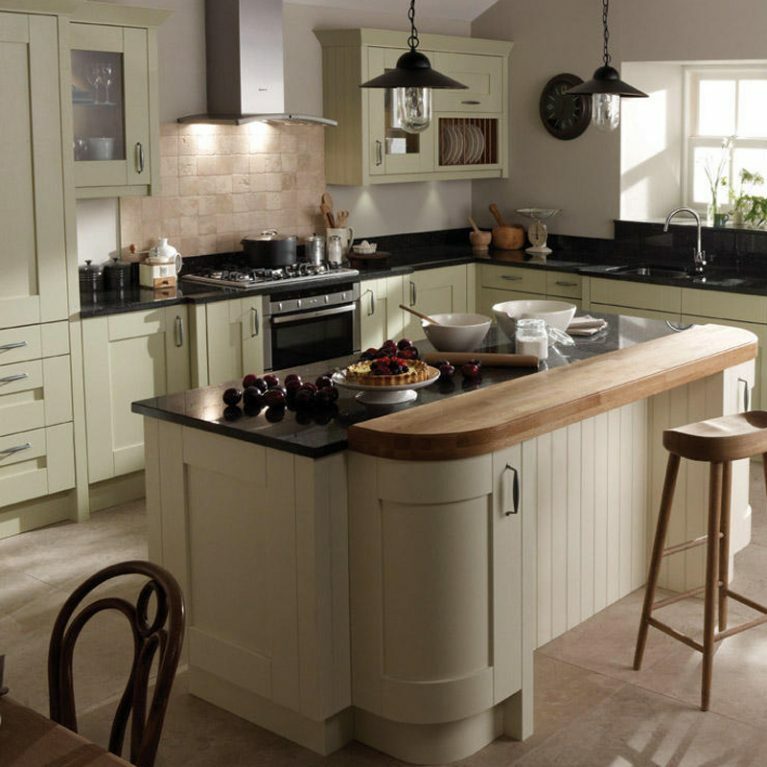 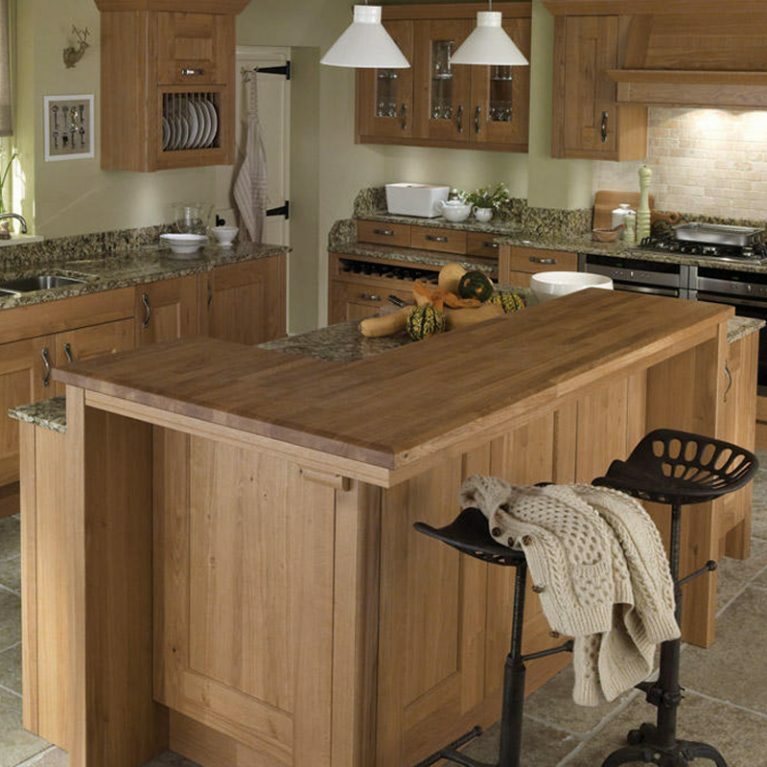 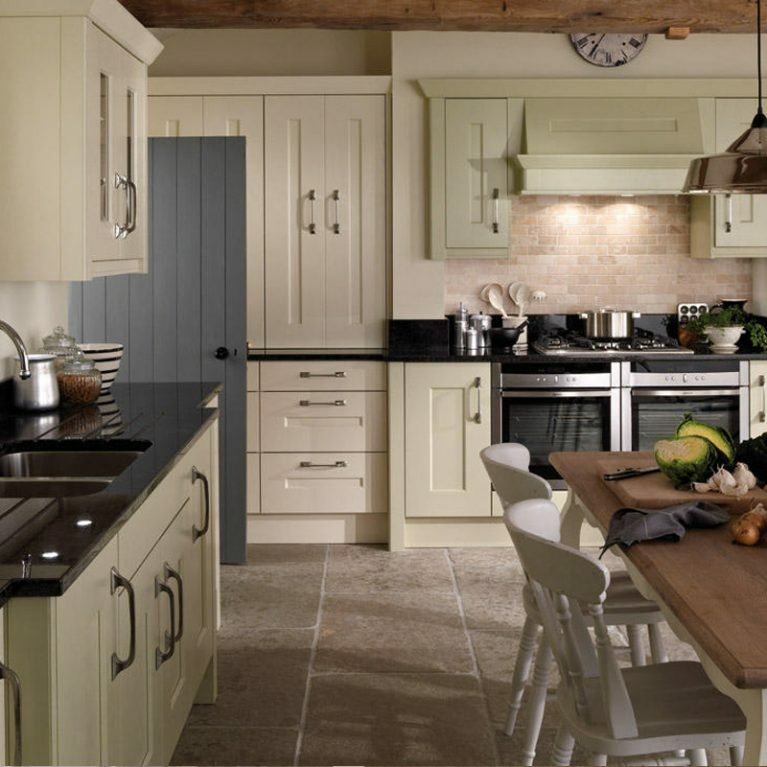 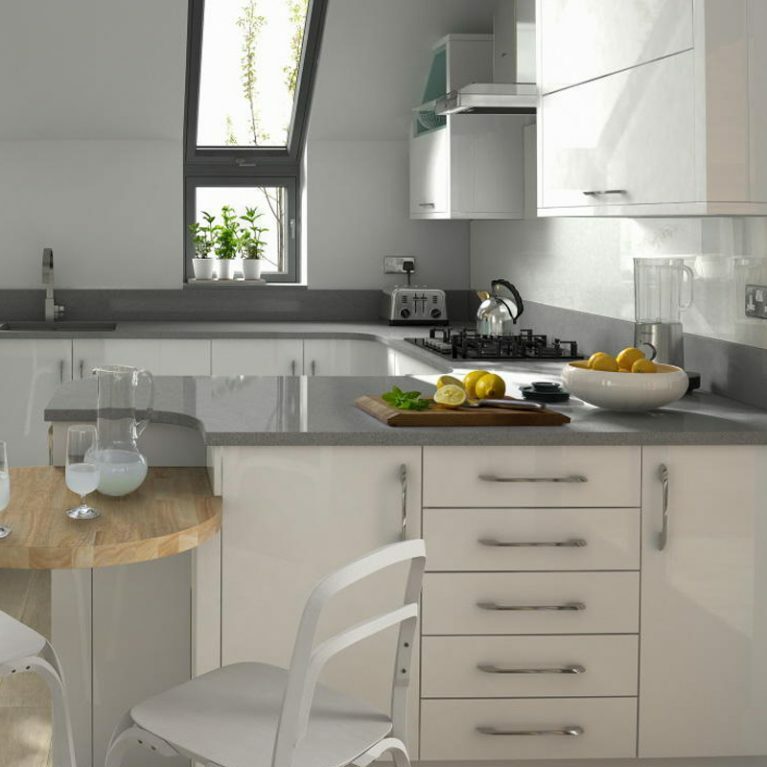 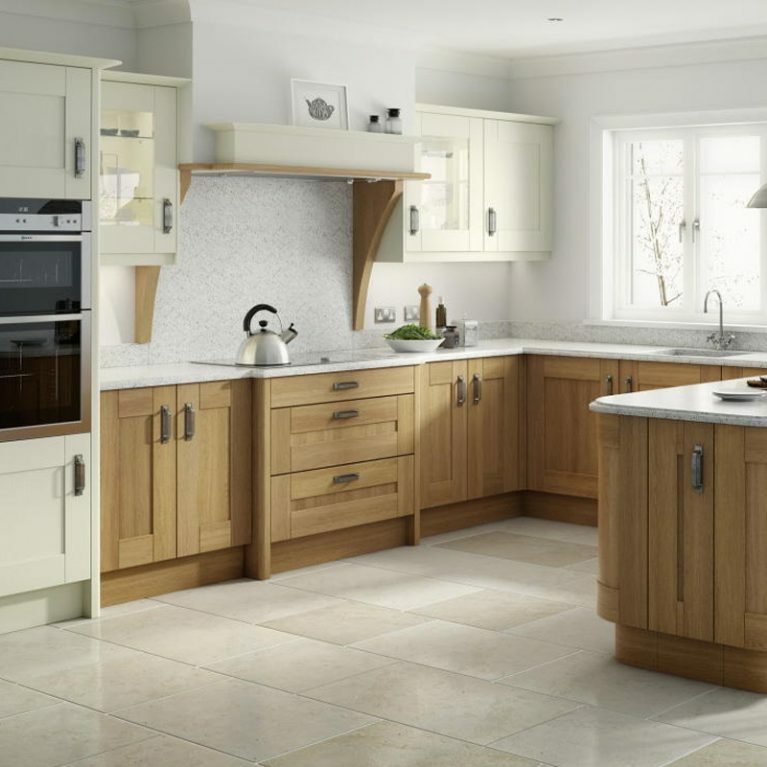 The Cornell Painted traditional kitchen is available from Number One Kitchens, Manchester’s first choice for kitchen design. 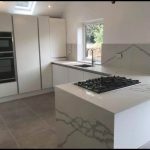 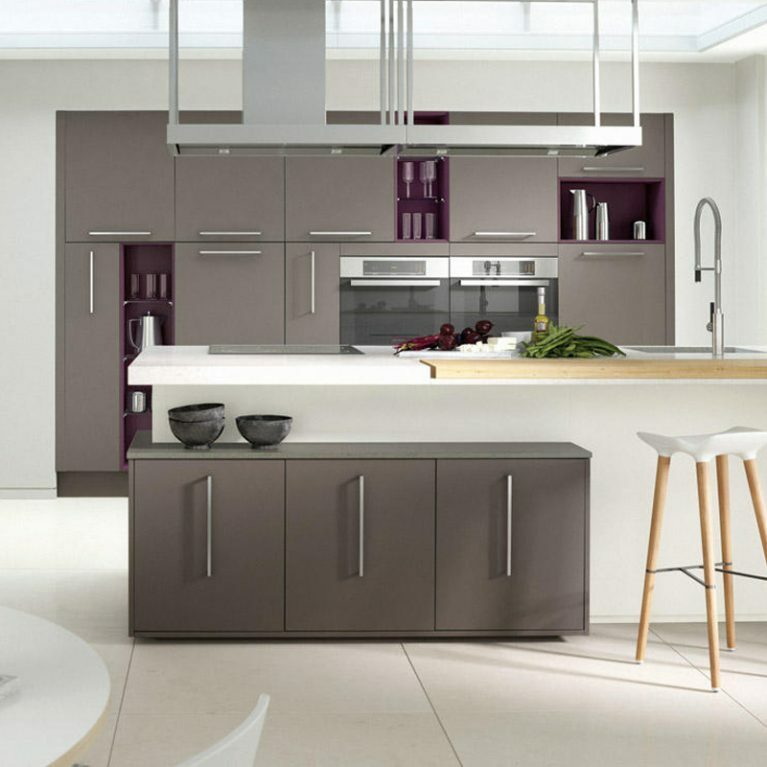 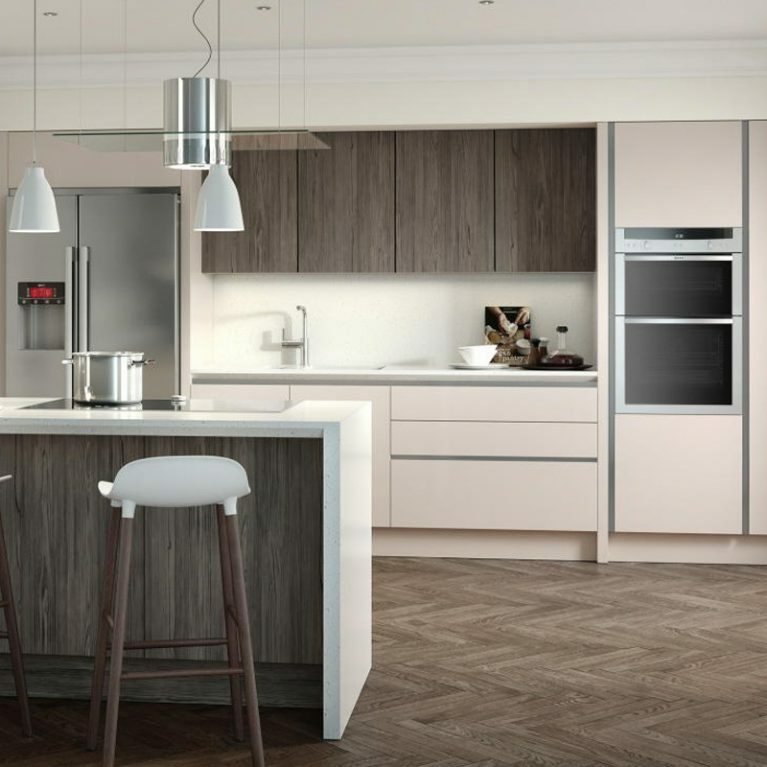 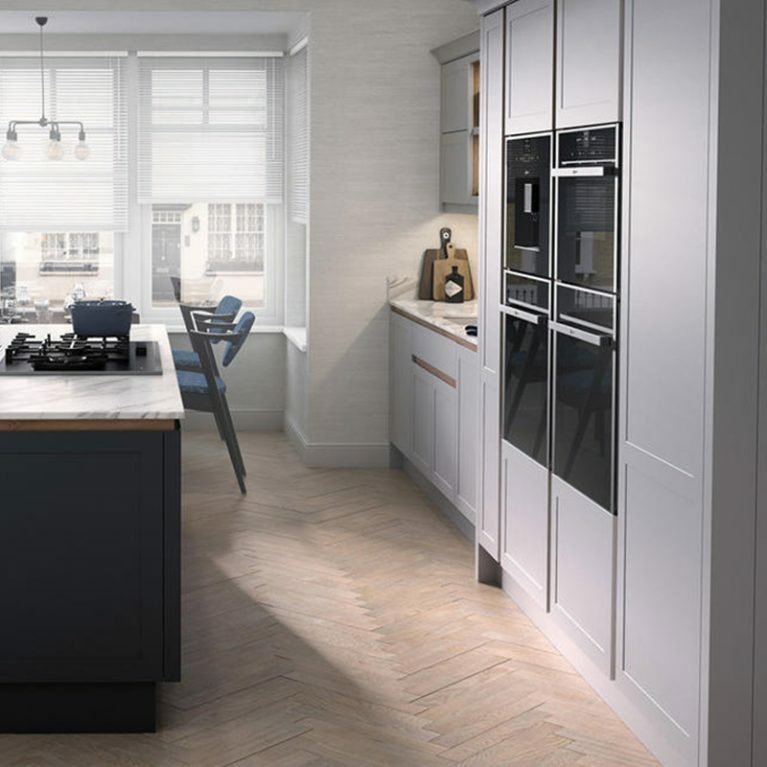 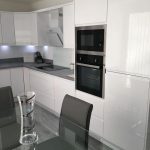 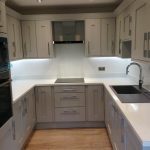 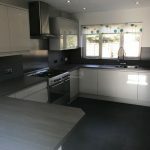 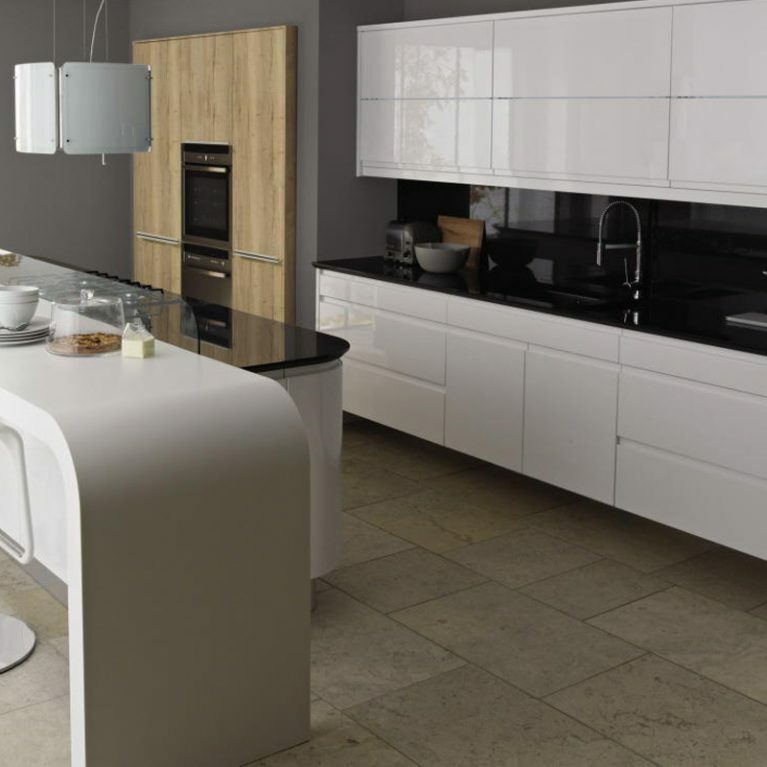 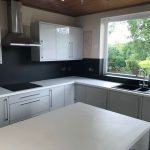 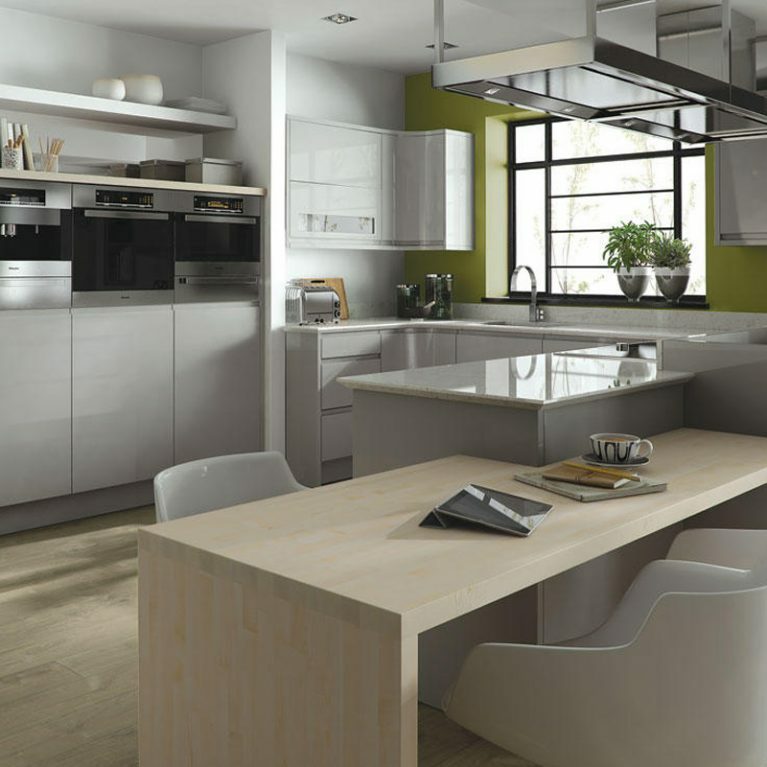 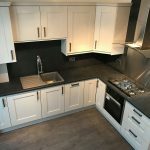 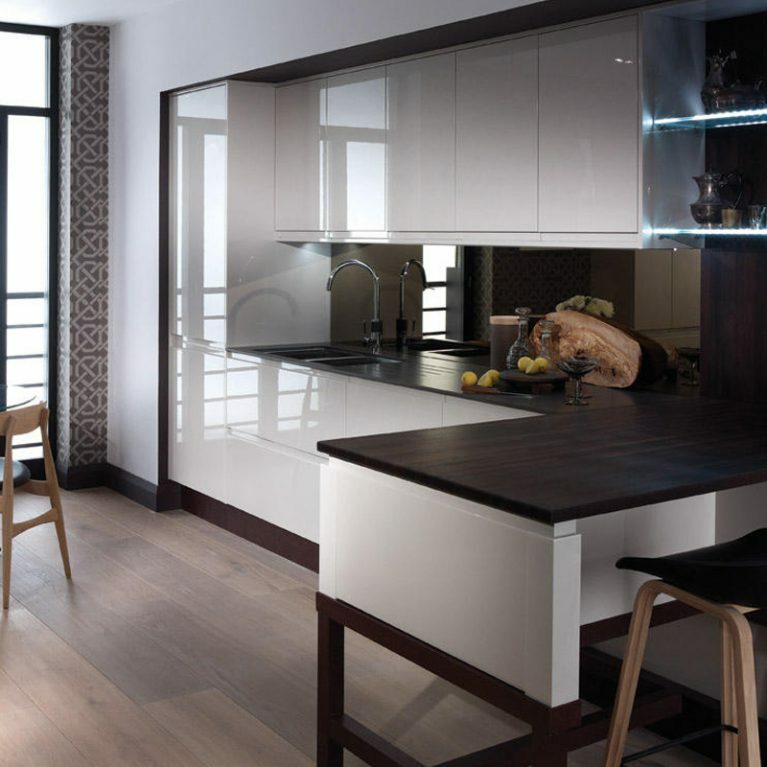 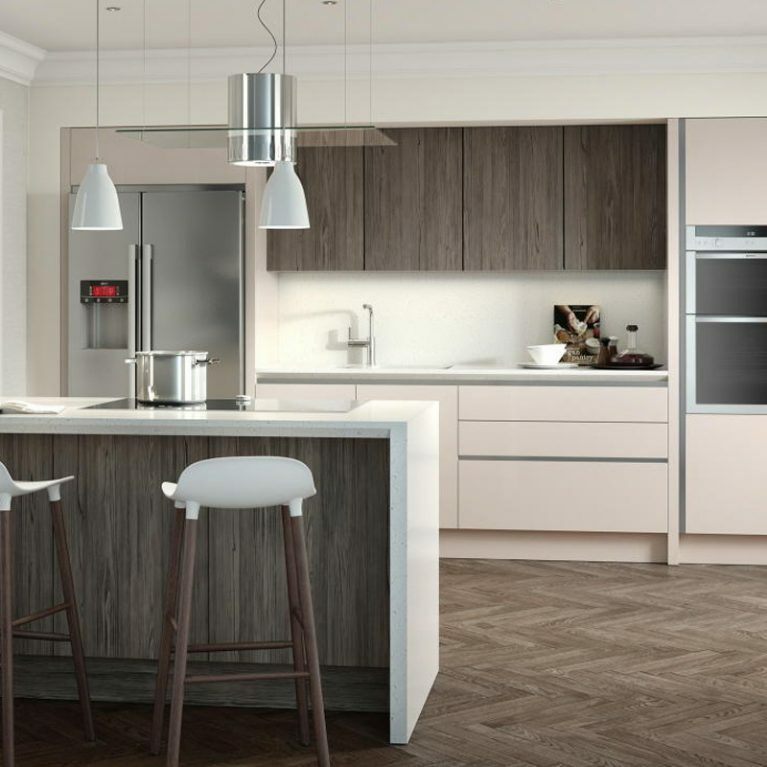 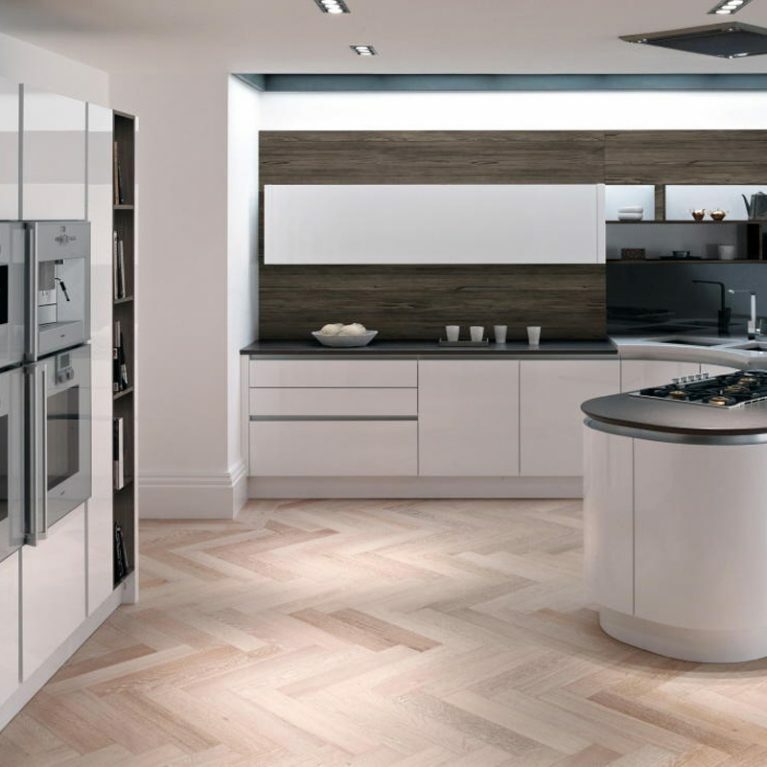 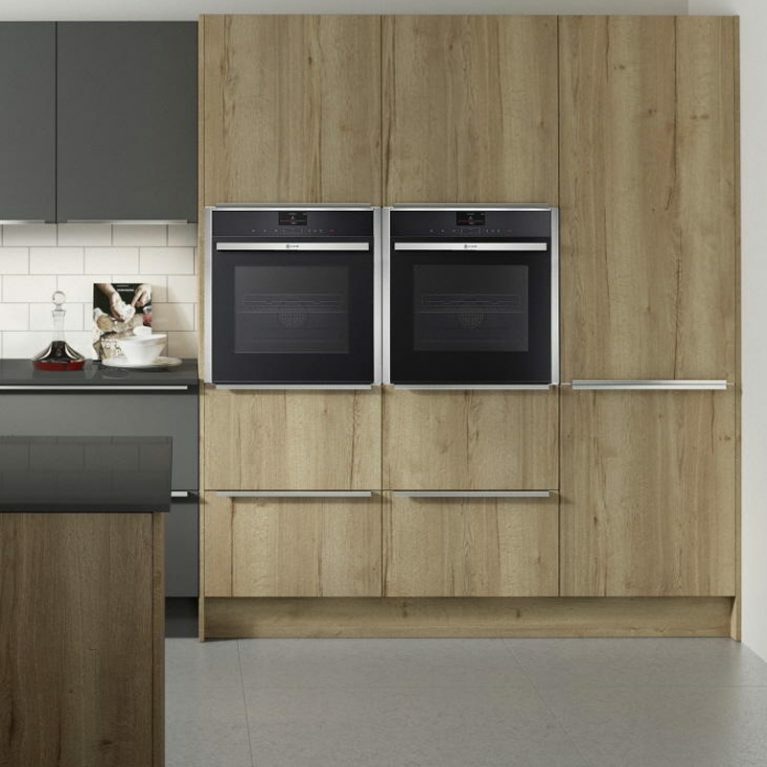 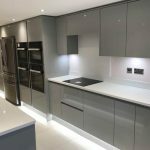 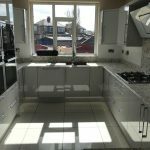 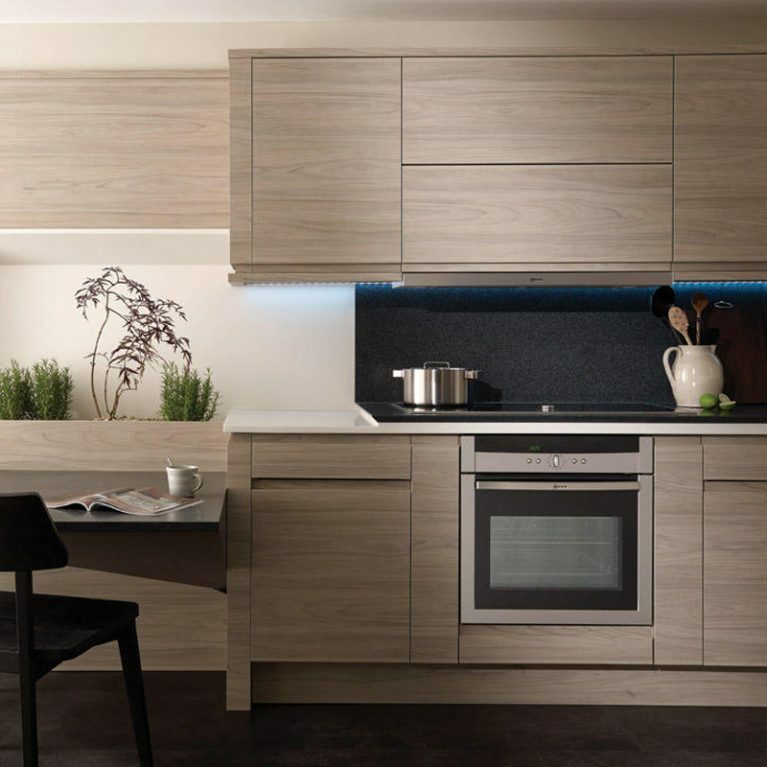 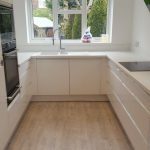 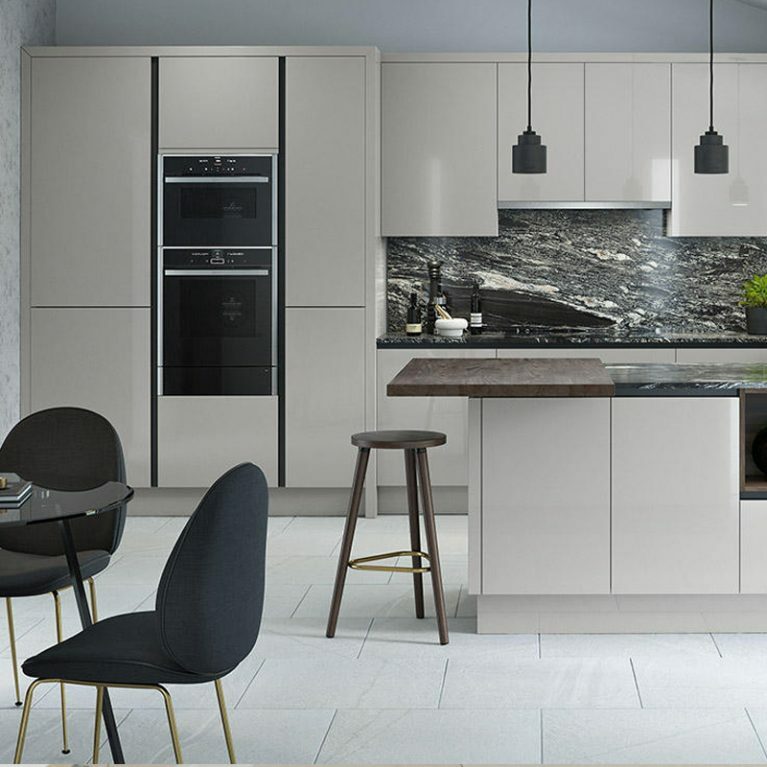 We specialise in providing you with stunning kitchen solutions and working with you to fit them into your home in a flawless fashion. 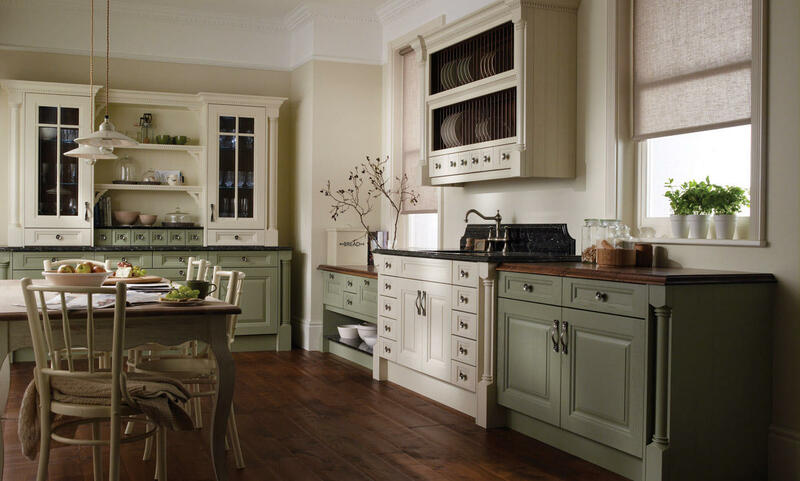 Cornell Painted is one of our most popular designs, and one look at the wonderful finish means it’s not difficult to see why. 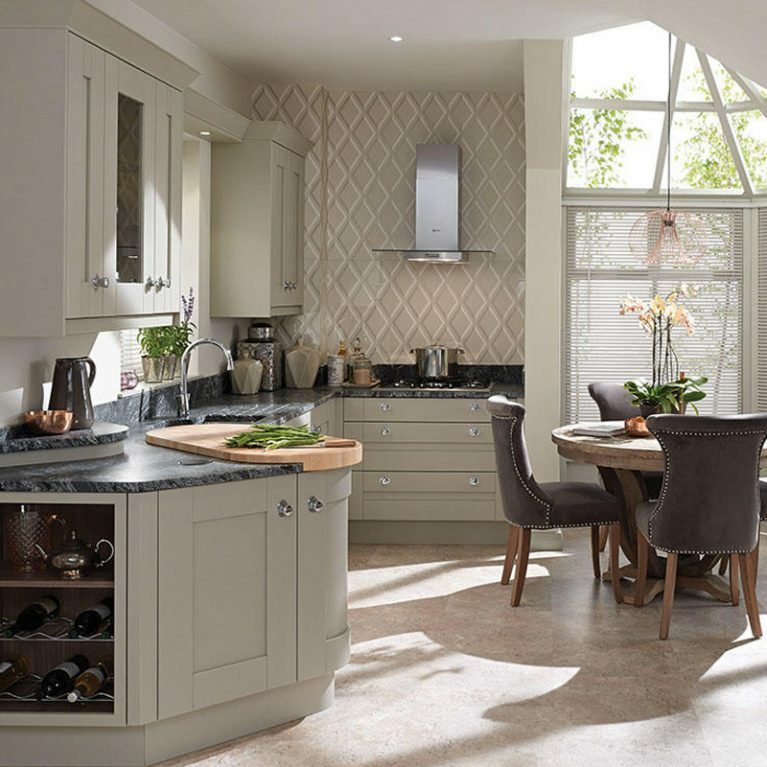 With open shelves and dish racks offering plenty of space, the Cornell Painted traditional kitchen is not short of storage opportunities. 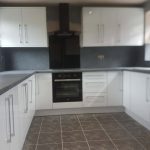 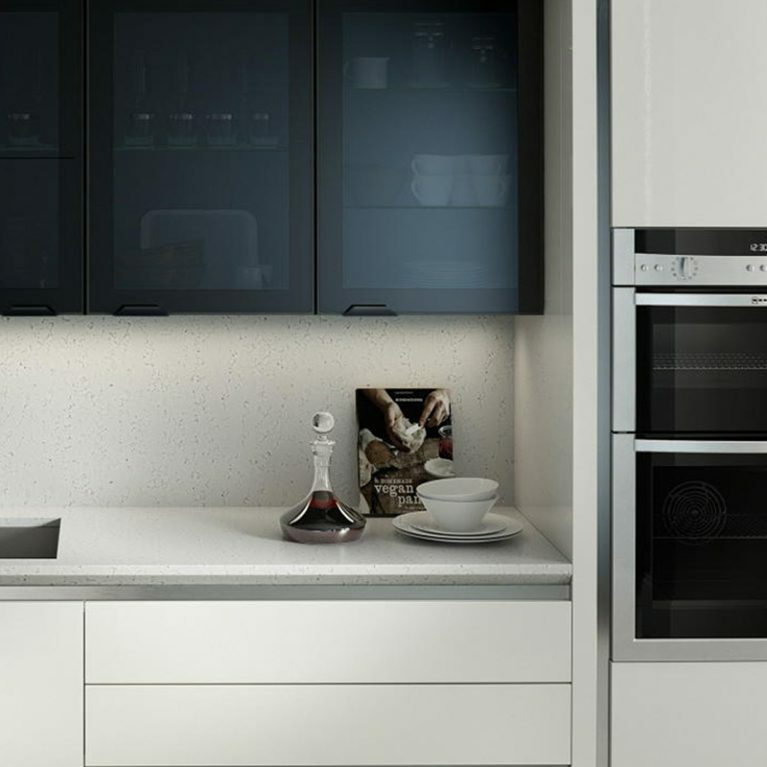 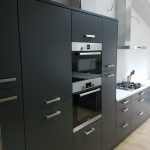 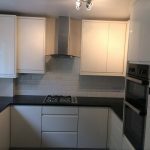 Also available are a range of cupboards and drawers which will help to house all of your kitchen goods and accessories. 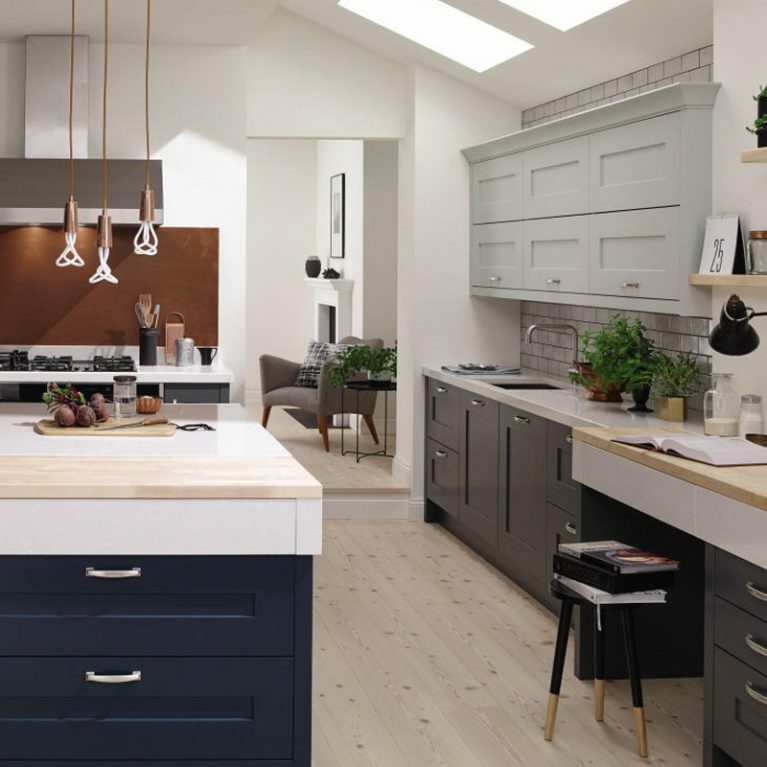 You can choose from 27 beautiful matte paints to design your Cornell Painted kitchen, with flexibility to pick whichever palette you want. 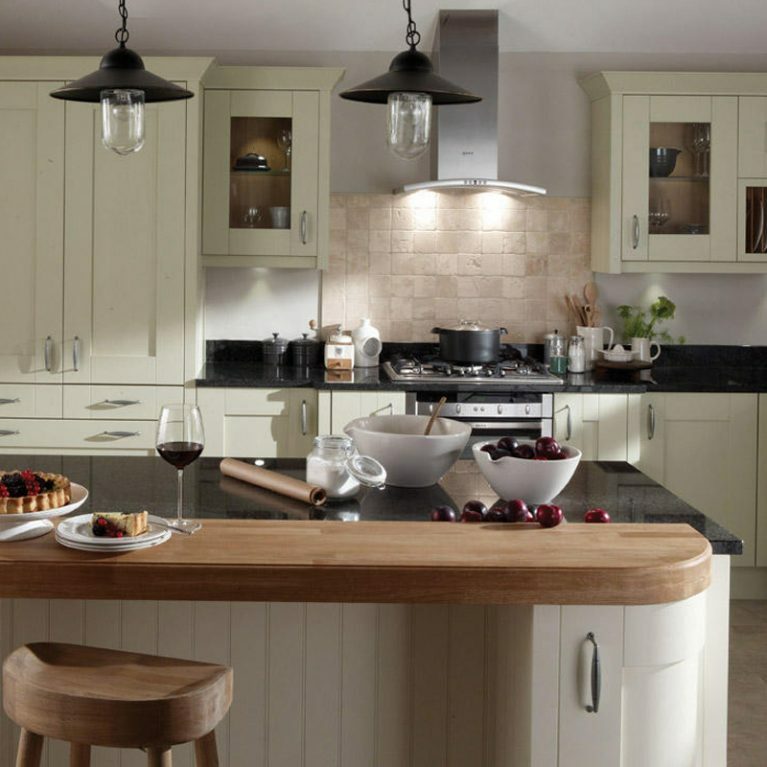 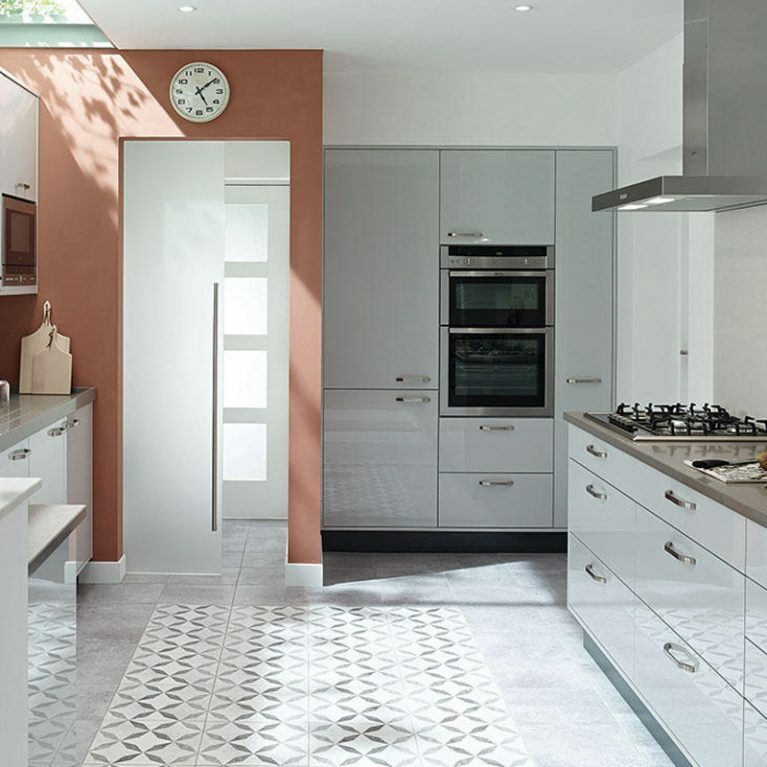 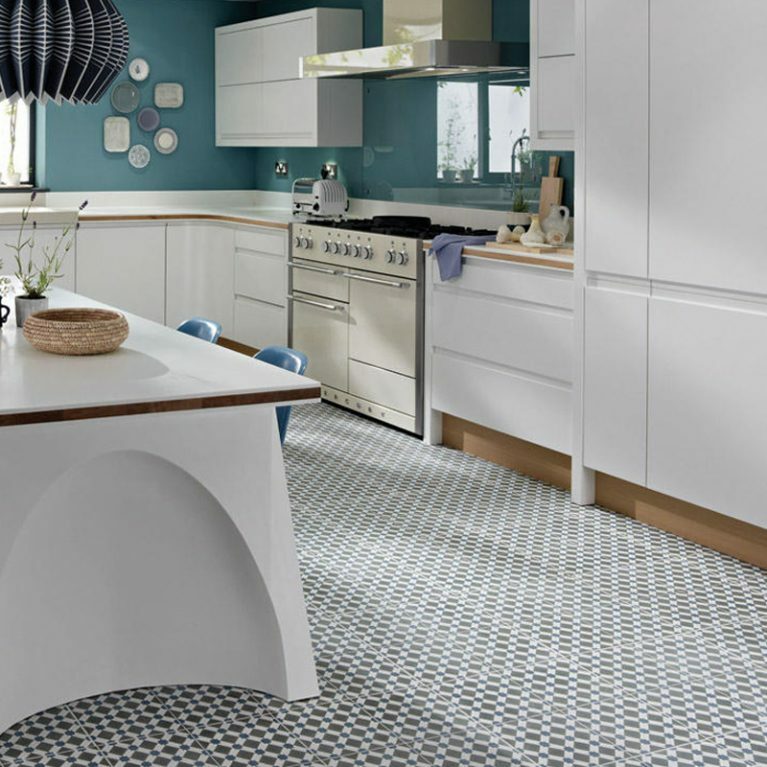 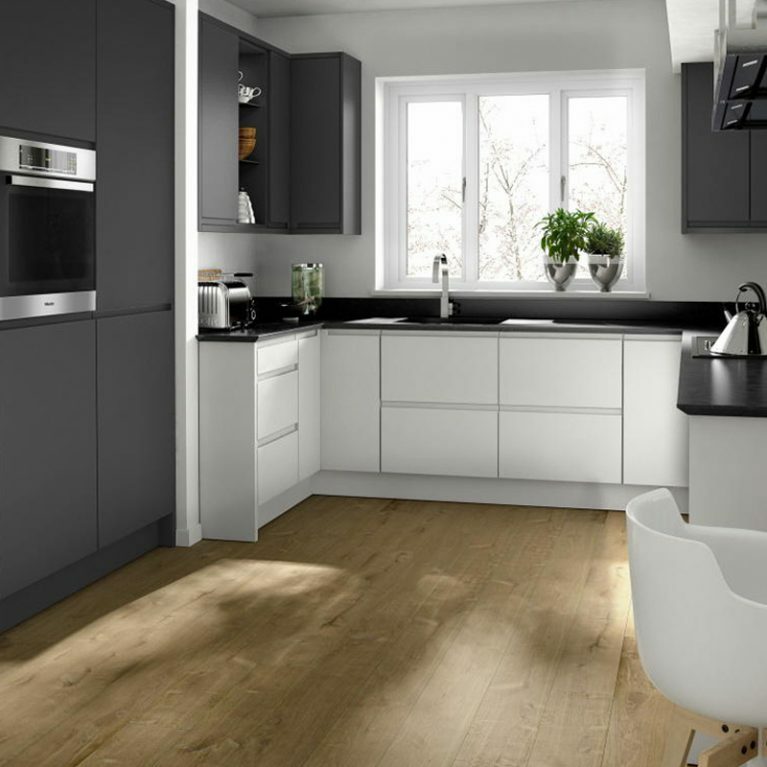 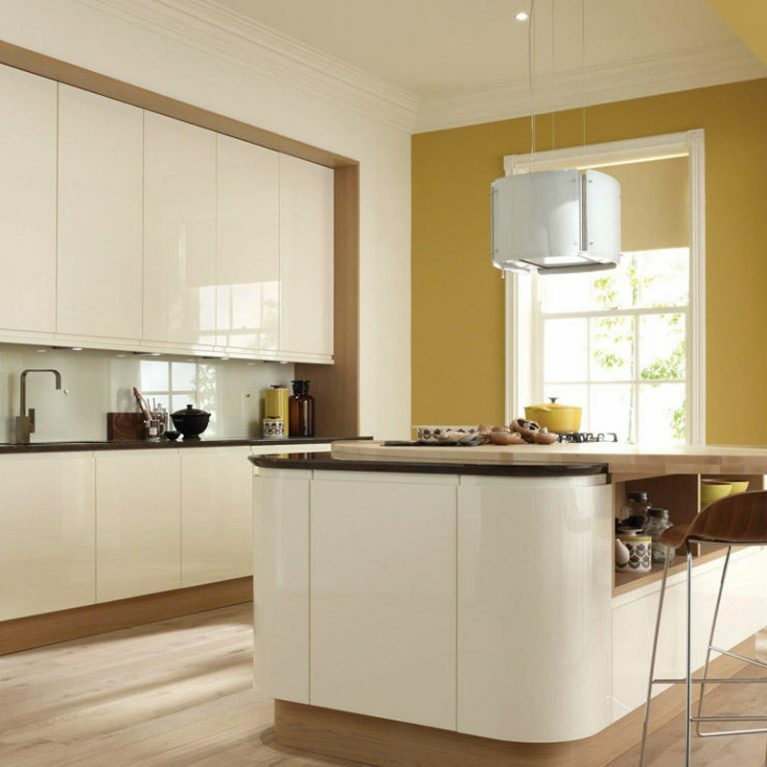 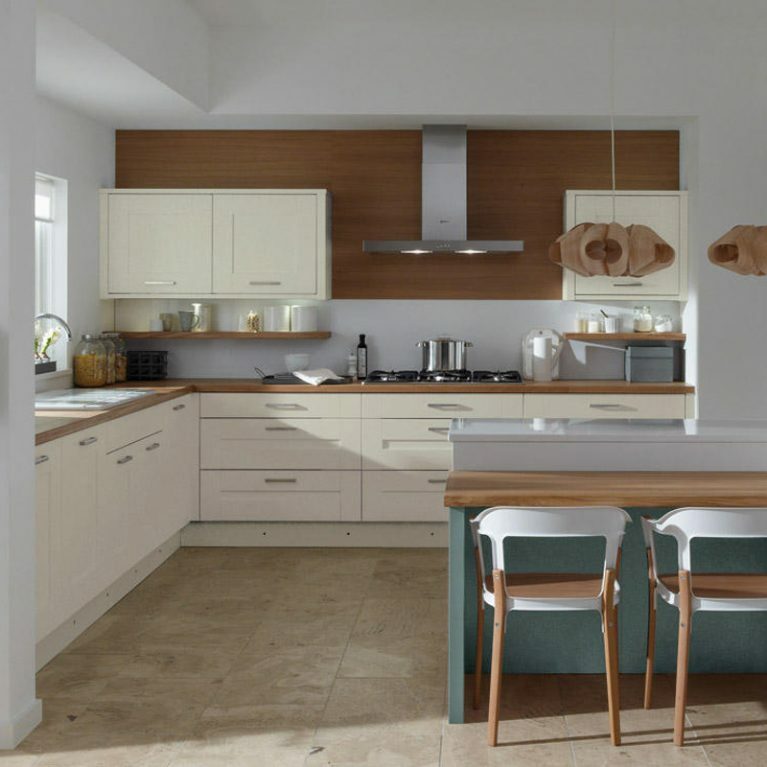 Why not try two complimentary shades to transform your kitchen design? 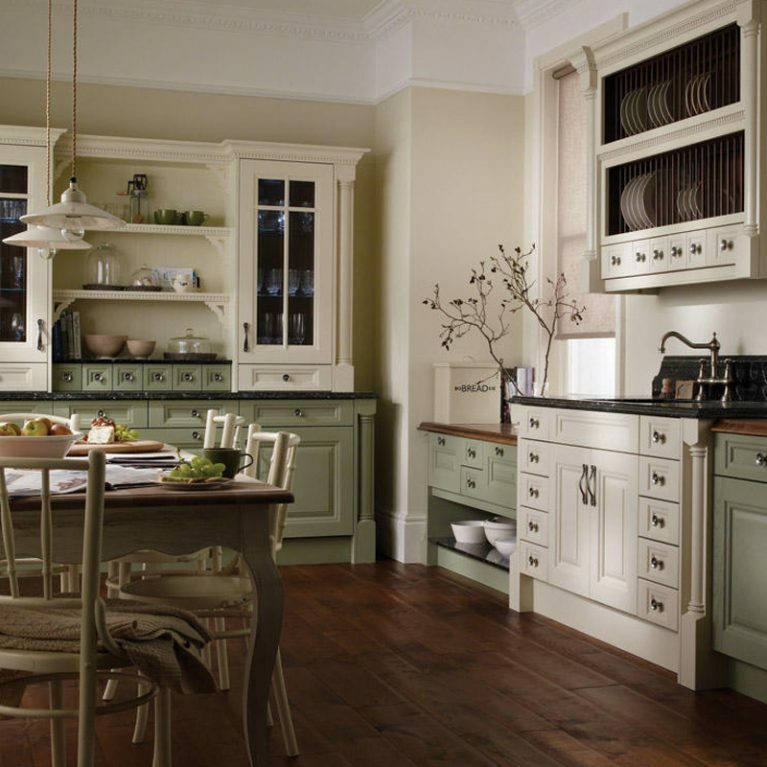 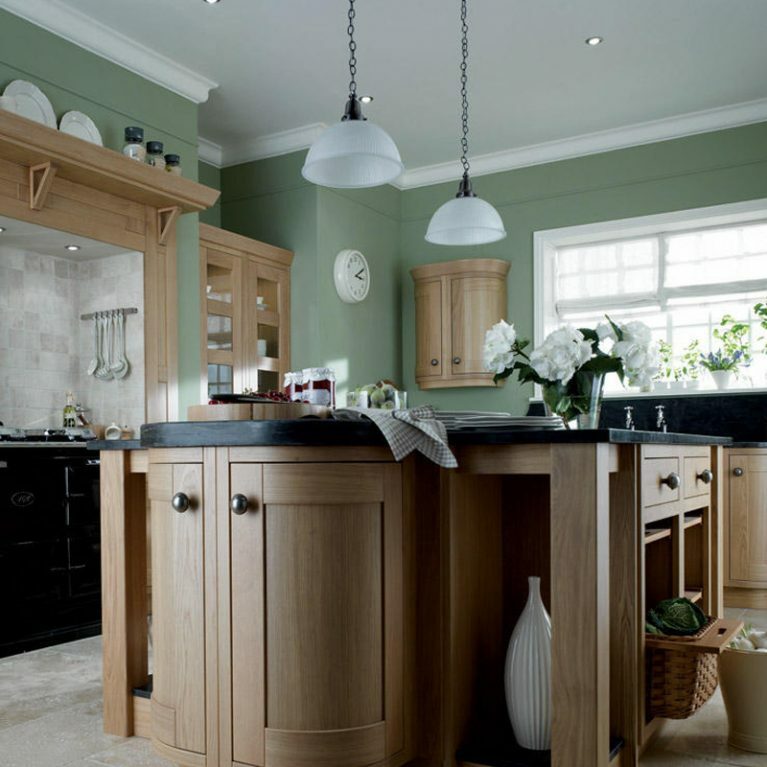 Perhaps a beautiful cream and pea green shade as pictured, or two other contrasting hues for a light and shade effect? 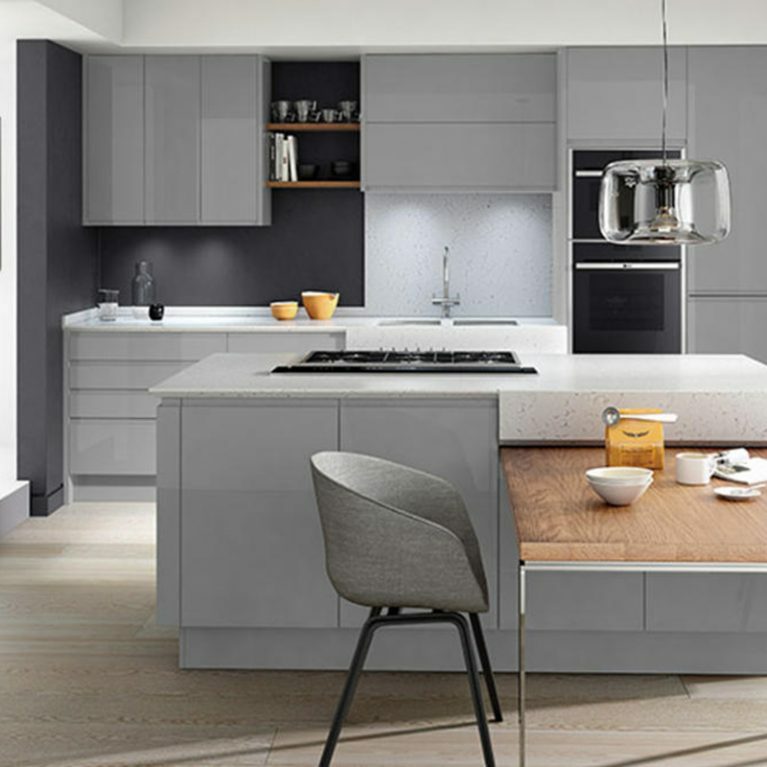 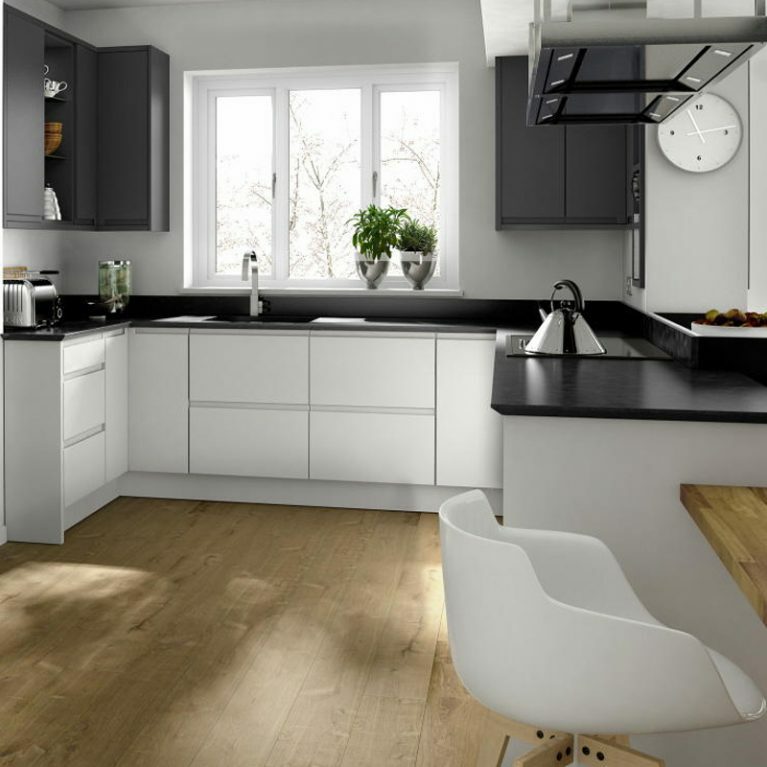 Not only do you have the opportunity to choose your matte paints, but you can choose the work surface that offsets the entire kitchen design. 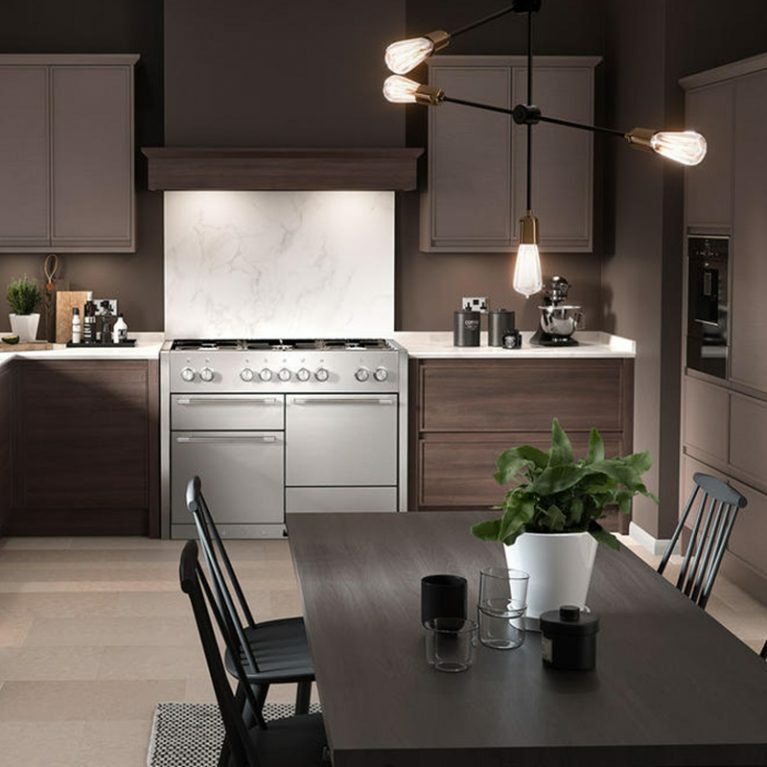 Opt for a classic, rich brown to accentuate the country style attributed to the Cornell Painted, or alternatively pick something a little darker for a modern twist. 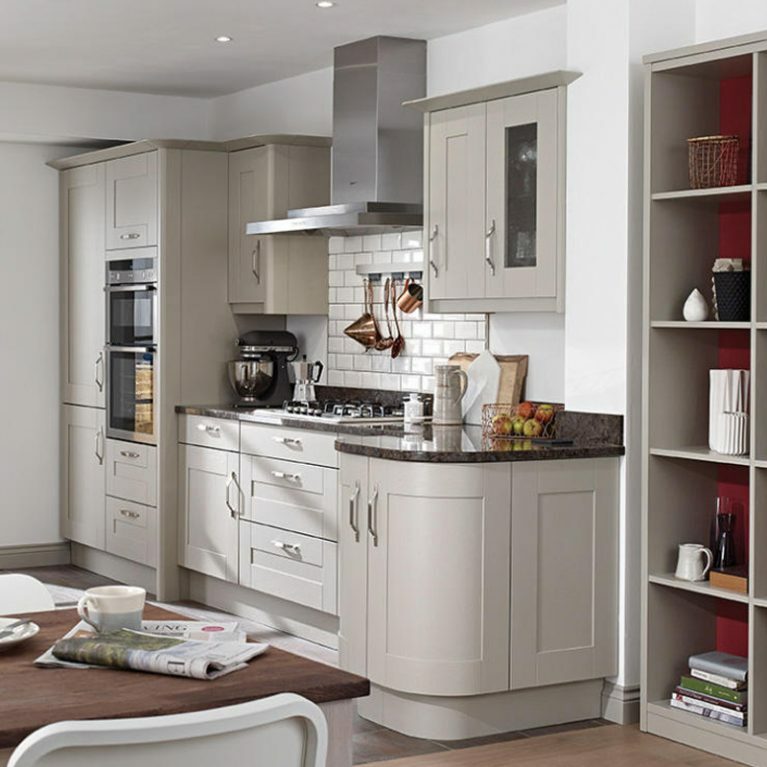 With upper and lower cupboard space, as well as glass door finishes, the Cornell Painted will offer you an incredible selection of storage opportunities. 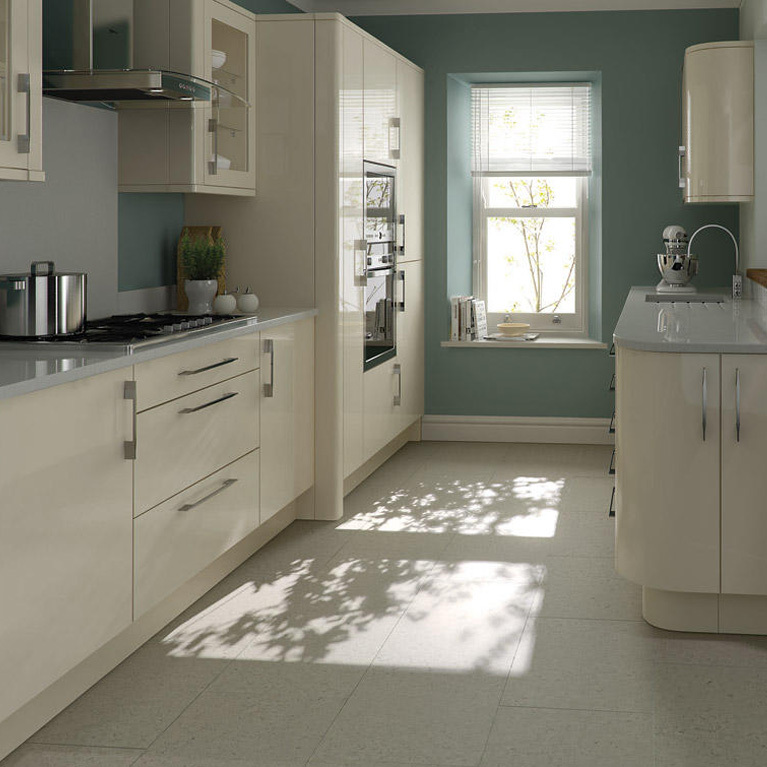 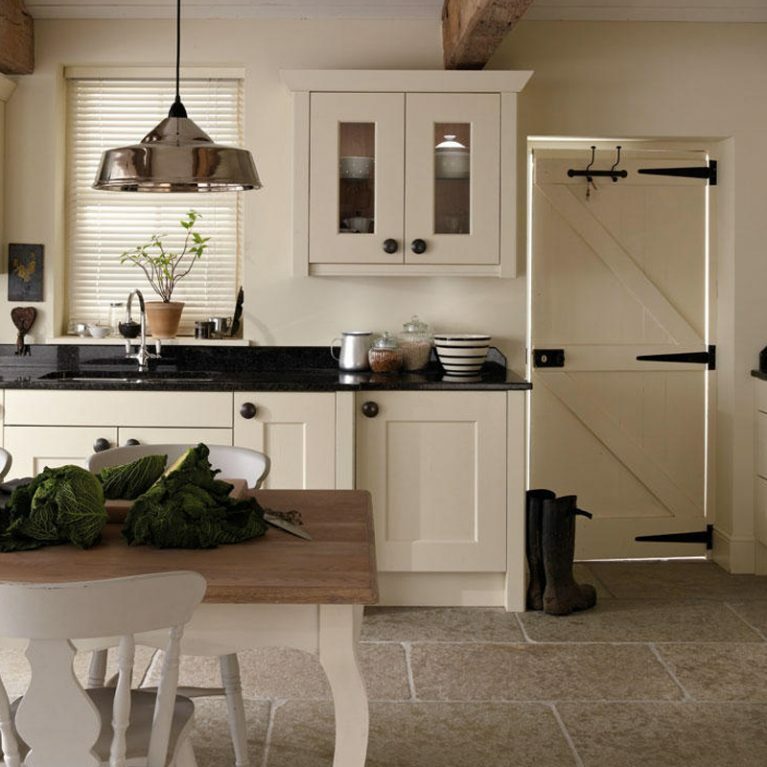 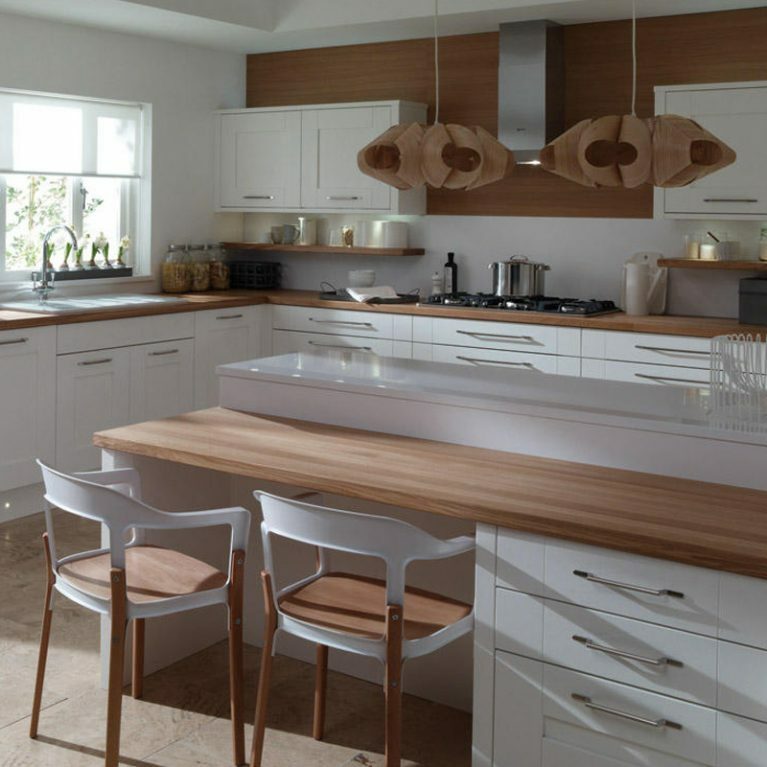 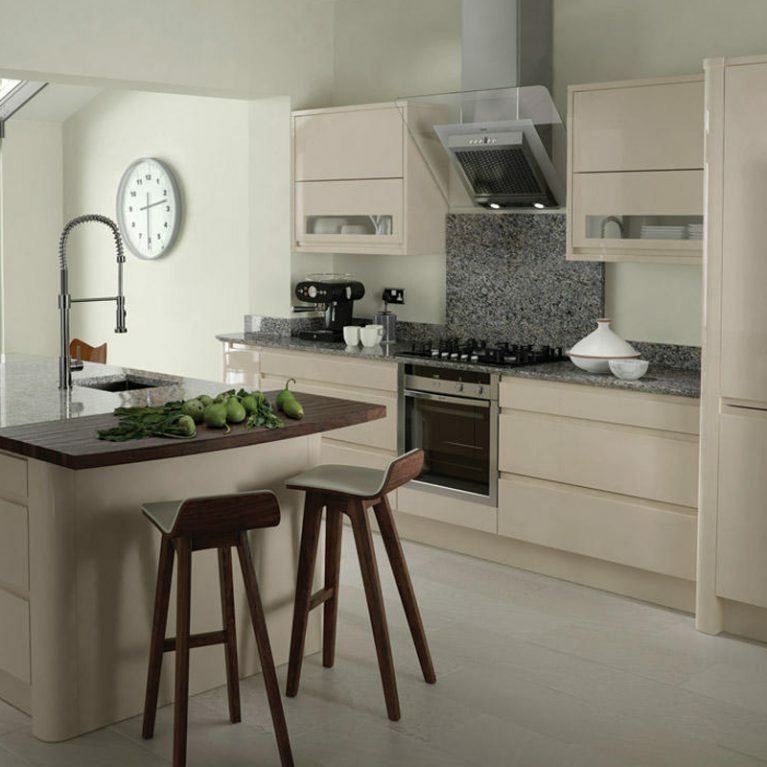 The doors are finished with vintage-style handles to accentuate the aesthetic of this beautiful contemporary kitchen.